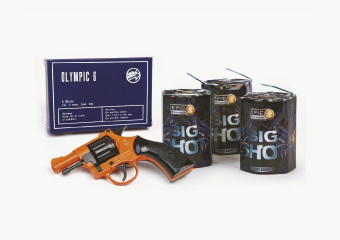 EcoPro supplies a full range of tried and tested bird control products, including bird scaring rockets, bangers, distress callers, bird scaring gas guns and bird scaring kites. These products are for professional use only. Please contact us if you need guidance. We can give helpful advice on the suitability of bird control products and how to get the best from them. Bird problems are assessed as high, medium, or low pressure according to the level of nuisance they cause and how persistent they are in roosting, feeding and nesting in the area. 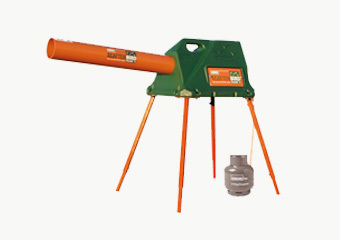 These products are suitable for low to medium pressure bird activity. They will only be supplied to appropriate people for correct applications. The original Big Bang! Skybird is a rocket-type bird scarer, which finishes in a loud report. If used to shoot up into a circling flock, it will drive the birds away. If a flock is lower or on the gound, the Pro-Shot Multi shot rocket should be used to lift the birds before using SkyBird to drive them away. Multi shot rockets ideal for persistent gulls. They throw 7-9 bangs to scare and drive away the birds. The bangs lift around 20 foot up from the ground, so are ideal for lifting persistent gulls off the tip face. The low level detonation of the rockets also means little disturbance to nearby populated areas. A self burning rope of bangs. 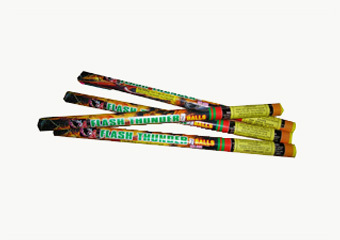 This product is ideal for un-manned times on sites as it self burns gradually, giving off a loud report around every 30 minutes. This product is also good to use on large sites where all areas are not accessible at once. Two types of Rope bangers are now available, including the Magnum Banger which is much louder than the standard. 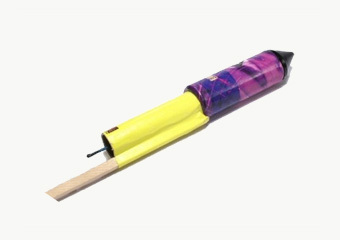 A portable, handheld bird dispersal system suitable for low to medium bird activity. It works by playing natural distress calls of target species. 9 distress calls, pre-loaded into the device, include species of Herring, Common and Black Headed Gull, Lapwing, Starling, Rook, Magpie, Pigeon and Crow. Other calls are available. The distress caller works by instinctively alerting a species of danger. The birds will hear distress calls of their own type and stay away from the area. 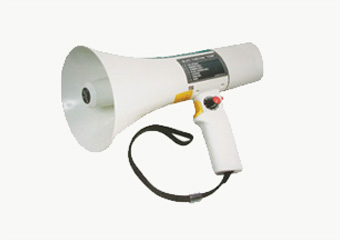 It is also possible to make live announcements through the loud speaker. Every Site should have one. The blanks pistol is a hand held blank firer. It can be kept, ready to use, in a jacket pocket or vehicle cab, ready to fire, for bird control on the go. The blanks pistol fires off medium loud blasts to shock birds away. Replacement blanks come in pocket size tubs of 100 blanks. Pistols and replacement blank can be purchased through EcoPro. Suitable for low to high pressure bird activity. 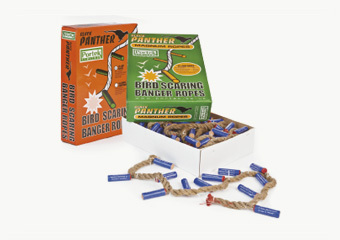 One of the original bird scaring products. The Gas Gun is ideal for large areas. It is available with telescopic legs to lift the sound and carry it further. The Dunsford Kite is especially designed for the purpose of bird control. It is light weight, enabling it to fly in light winds. 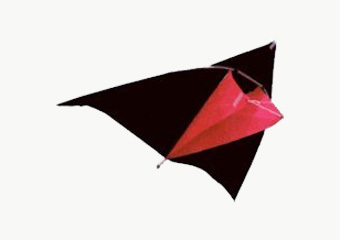 The Dunsford Kite has long trailing tails for maximum effect. A Flying Pole is available to suspend the kite from. Using a pole allows minimum attention to flying the kite, as the kite will re-launch itself if there is a drop in wind pressure. Suitable for low to medium bird activity. Ordering Bird Control Products is easy with EcoPro. Call or email us with your order or to discuss your requirements.